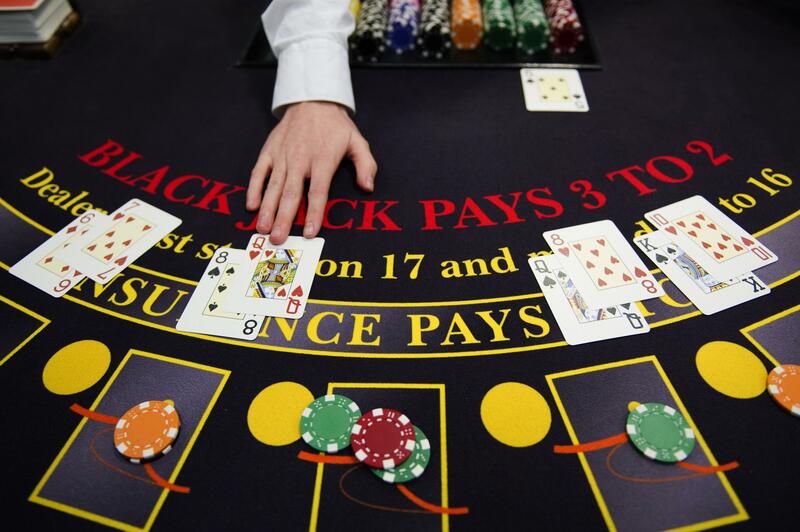 Dealing craps and blackjack: What's it like to work as a casino dealer? What’s It Like Dealing Craps or Blackjack in a Casino? A student of the Cerus Casino Academy deals out cards on a blackjack table in Paris on Feb. 27, 2013. I dealt blackjack and craps in the worst casino in St. Louis. It was in a rundown riverboat located in a not particularly vibrant and less than bustling downtown riverfront area. This was back when Missouri still had $500 loss limits and our casino closed every morning. For me, being a dealer was the best job I ever had. That’s not really saying much; I haven’t had particularly good jobs. But even in the worst casino in probably one of the worst gambling markets in America, it had its definite pluses. It was not difficult work, though it could be hard work. The pay was good, though not great at my casino. We had the lowest base pay of any dealers in the city, and our toke rate was the lowest of all the casinos in the city. You got a 20-minute break every hour and 20 minutes (every hour when dealing craps), free soda and coffee on breaks, and one free meal, though the food wasn’t that good. There were two great things about being a dealer. The first great thing about being a dealer was that it was often a lot of fun. On a good night, it was a blast. There were times when I couldn’t believe that I was paid to have so much fun. Two things made it fun: When my blackjack table was filled with people who were there to have fun and I was doing my best to make sure they had fun, it was great. It was like being the host of a raucous yet intimate dinner party. Craps was even better. Craps was kind of like being the bouncer and the entertainer at a rockin’ club. But one of the best things about dealing craps was the rapport and camaraderie and banter you could establish when you were on a good crew who all got along and took pride in dealing the game. The second and most satisfying thing about being a dealer, for me, was the sense of learning a skill and being a part of a grand tradition. Serious dealers took the game seriously, even while they were having a blast and showing off and talking smack with the players and the box man and the other dealers. I could write another whole article just about what it’s like to be a craps dealer and another article on what it’s like to learn to be a craps dealer. When you deal dice, there’s so much to learn. There are dozens, really hundreds of bets, when you add in all the various combinations that imaginative and superstitious players can throw at you: hardways, horns, hop bets, betting the don’t, buying the 10, the no-10, the horn-hi-yo, the three-way, the world, the come—there’s a procedure for everything. How you book bets, how you pay bets, how you set the bets up, and how you clean up the losing bets on a seven out. And then learning to be a stick man is like learning a whole new game. It’s like being a carnival barker who can do calculus in his head. But that’s all the easy stuff. The real art of being a dice dealer is learning to be efficient and smooth while adhering to the multitude of game protection procedures that the casino insists on. It’s like dancing a logic problem. I took real pride in being a dice dealer. I was never the dealer that I wanted to be, but I tried every night to be a better dealer than I was the night before. If you’re paying a bet in four moves, you’d better be looking for ways to do it in three, or even two, moves. But don’t get sloppy. Make sure that you’re not violating procedure and that the player, the box man, and surveillance can understand what you’re doing. The bad things about the job you can probably imagine: standing for eight to 10 hours a night, the smoke, dealing with drunks, dealing with people who are mean and angry and bitter and blame you for the random draw of a card, being responsible for thousands of dollars, the hours. I hated working the night shift. I worked 8 p.m. to 4 a.m. or 8 p.m. to 6 a.m. for just about all of my 2½ years. It’s lonely and physically and psychologically draining in ways that I didn’t anticipate. And of course, it was inconvenient in the ways I did anticipate: It was hard to maintain relationships with friends and family when you work while the rest of the world sleeps. The worst part about it was the boredom, especially dealing anything but craps. It’s essentially assembly-line work with a lot of customer service. The worst of two bad things. This is not a job for everyone. It takes a toll. I’ve got health issues that prevent me from dealing now that developed as a result of dealing, so it probably almost killed me. But it was a hell of a lot of fun and made me miserable, and I wish I had never left, and I’m glad I never have to go back. That’s what it’s like to be a dealer. Is it depressing working in a Las Vegas casino? Do blackjack dealers count cards?